"Safety of personnel is at maximum level thanks to the insulation of conductors "
URC (Uni-Rail Conductor) Busbar systems are the systems where each conductor is installed as a separate line and the current reception cars act together with the machine that will use the energy to realize the uninterrupted power reception. 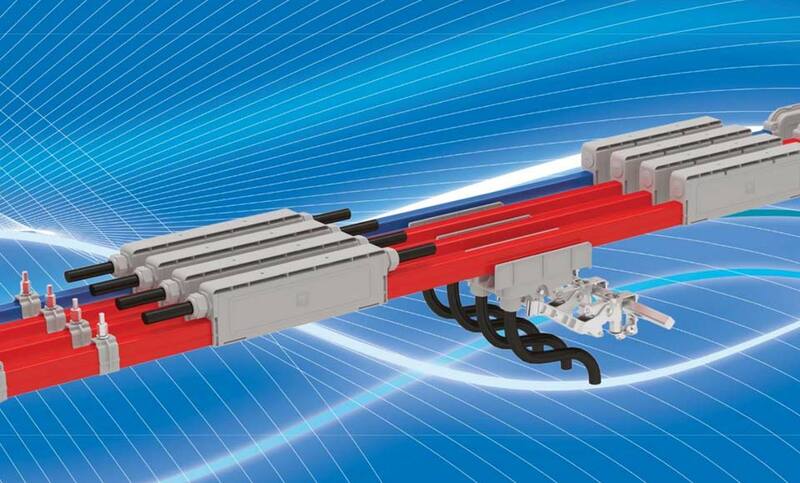 Since the conductors are on separate bodies, E-Line URC busbar systems are the systems that can be smoothly used in interior and exterior environments under heavy duty conditions and that eliminate all the negative aspects of conventional pulley cable systems. Safety of personnel is at maximum level thanks to the insulation of conductors. In E-Line URC-A High current series, thanks to the stainless steel bearings, conductor surfaces can be reinforced against wearing and are made long-lasting.